Happy Saturday! If you are looking for something fun and quick to put together for yourself or for some guests, here is one of my favorite appetizer recipes. I got it a while back from the New York Times and have since made it a number of times. Enjoy! 1. 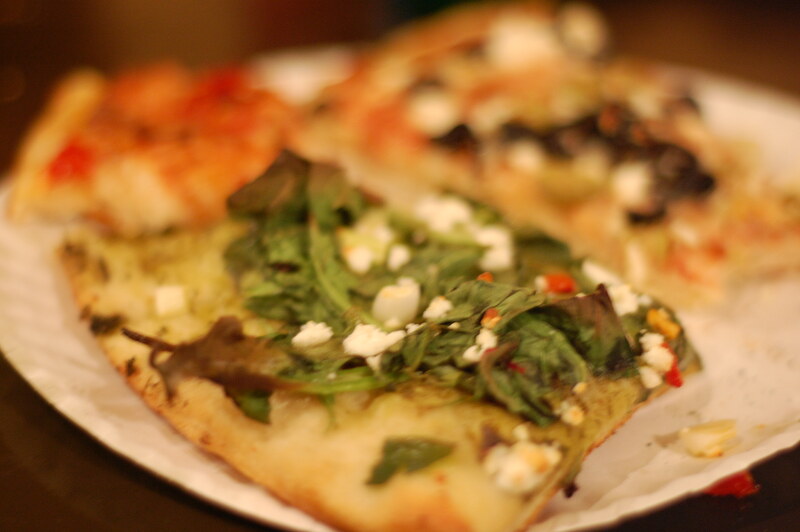 Preheat the oven at 375 degrees. 2. Wash the asparagus and trim the bottom. 3. 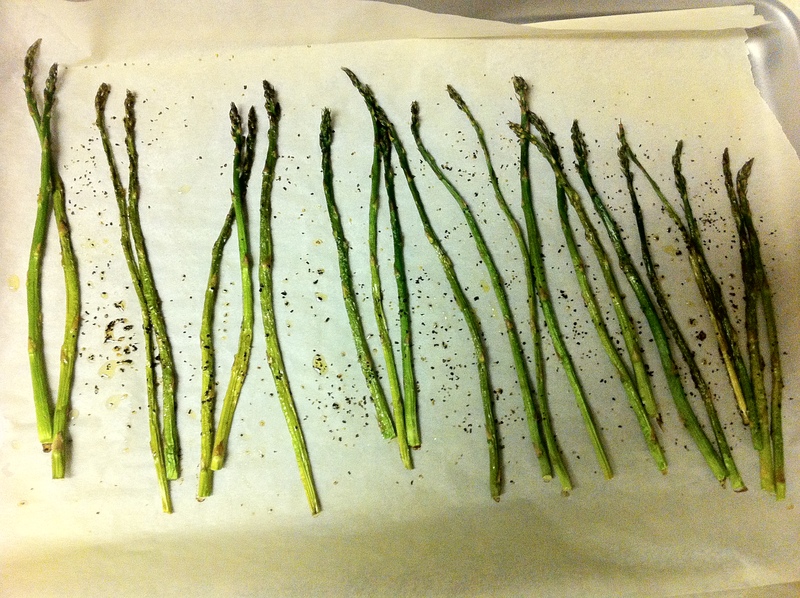 Lay out the asparagus on the baking sheet and drizzle with extra virgin olive oil. Make sure that every single spear is evenly coated. 4. Season with salt and fresh ground pepper. 5. Place into the oven and let it roast for 15 approximately minutes. 6. Let the asparagus slightly cool until it’s easy to handle and individually wrap the spears with the prosciutto making sure to keep the tip of the asparagus is exposed. 7. 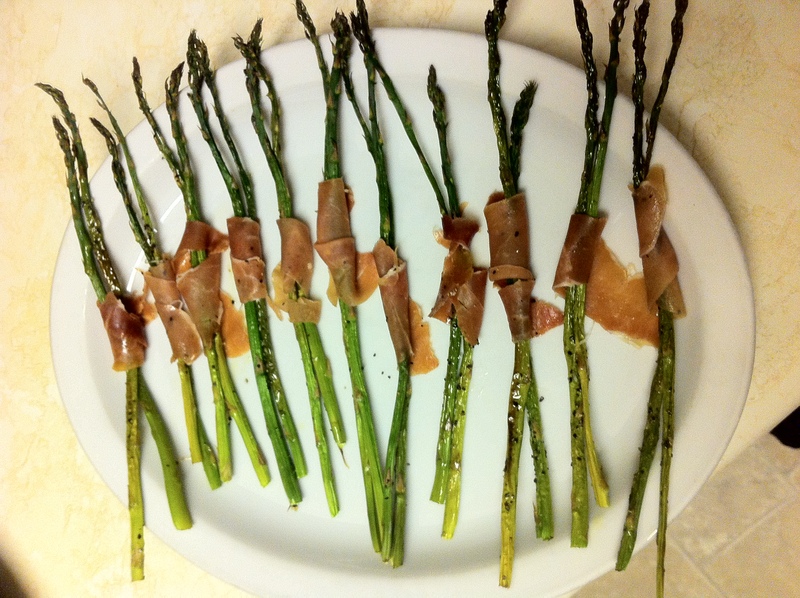 The prosciutto will slightly melt and grab onto the warm asparagus.